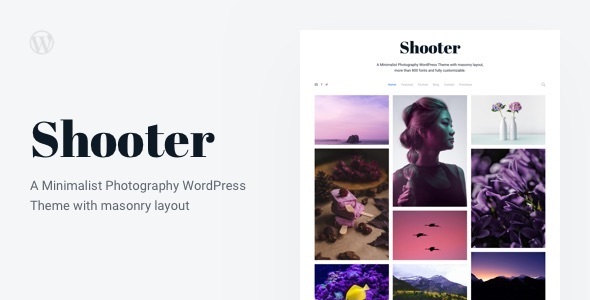 Shooter is Great Portfolio WordPress theme for Professional Photographers. Theme includes 800+ Google Fonts and fully customizable. Theme has a powerful Customizer which like a lot of WordPress users. Theme has 3 Showcase sections: Player, Slider and Call to Action. You can choose one in Theme Options panel.